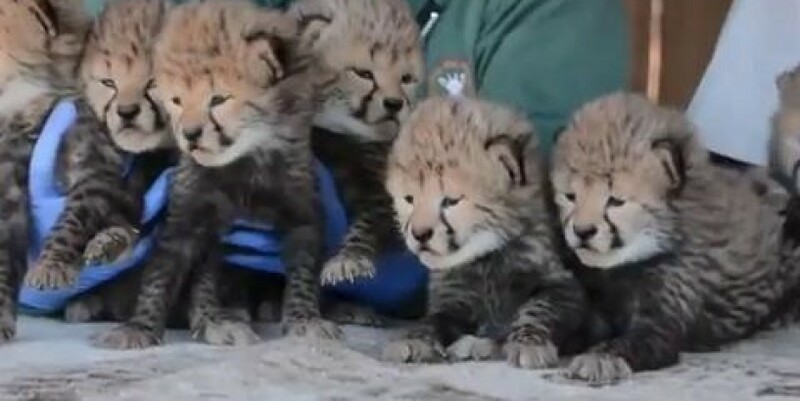 There are seven new adorable cheetah cubs in Virginia, but you'll have to wait a couple of months to visit them. The two-month-old septuplets were born at the Metro Richmond Zoo. The odds of a cheetah giving birth to septuplets is just 1%. It's a big boost for the captive cheetah population. The zoo says the cheetah population in the wild has dropped from 100,000 to 7,000, and it's the most endangered wildcat in Africa. The cubs are all in good health and the zoo will announce their first appearance set for sometime in March.